Gazing down at the grips which you recently changed on your Ping Eye 2's, that less-than-shiny finish of the once shimmering stainless steel and the tiny dings and faded club face, you realize that your almost thirty years old golf irons could use a break. Still, they served you well and you are loath to switch out your clubs and, perhaps, alter your game. On the flip side, the hottest golf irons for 2016 are said to be better than ever before, sporting extraordinary distance, control and feel. Are you open to the possibility of improving your game with, say, the latest game improvement irons...Ping GMax, I-irons, Karstens...or Cleveland CG Black CB's? 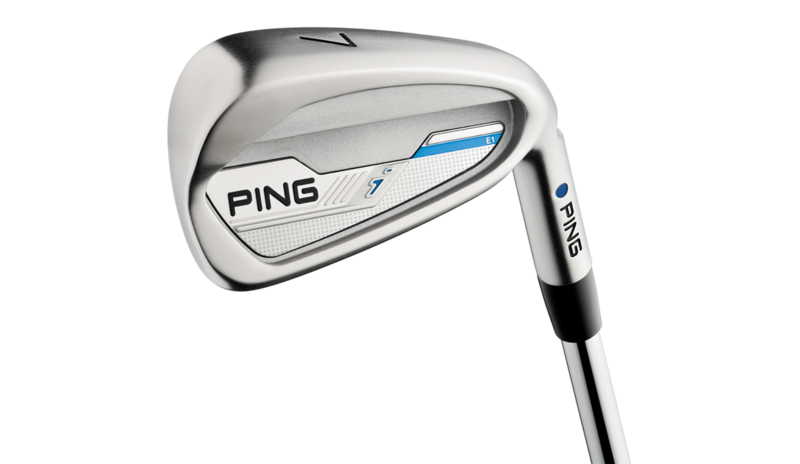 2016 PING i IRONs: Using 431 stainless steel for the first time in a PING iron, engineers relied on the material’s high strength-to-weight ratio and softer feel to create a head design that delivers workability and trajectory control with the right amount of forgiveness. Lengths and lofts are optimized to increase distance with proper gapping, resulting in a clean, players-style iron with a high MOI. - Age of the Irons - According to SFGolf.com, "Experts suggest that if your clubs are more than three years old and you are an avid golfer who gets out there often, then there’s a good chance it’s time for new clubs" Bent and damaged golf irons are also a sign that it's time to say goodbye to your old friends - wear and tear certainly takes its toll. - You Are Getting Older... and less flexible. That goes back to the above statement of wear and tear but not just on the club. Chances are your body isn't in the shape it was in five years ago and you could probably use a more flexible shaft and larger club head. Rockbottom Golf suggests the importance of "matching your shaft to your swing style so you get the most distance from your swing." - Technology is Progressing, Why Shouldn't You? Do you still carry (and occasionally use) a 3-iron? Hybrids or fairway woods can replace those long irons and with better results. Need to make a choice as to which club better suits your game? 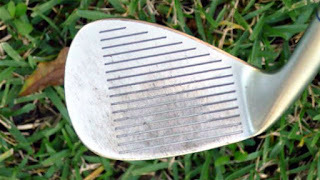 Links Magazine says, "If you sweep shots cleanly off the turf, fairway woods are for you. If you have a steeper swing (you tend to take divots), you'll be better off with hybrids." 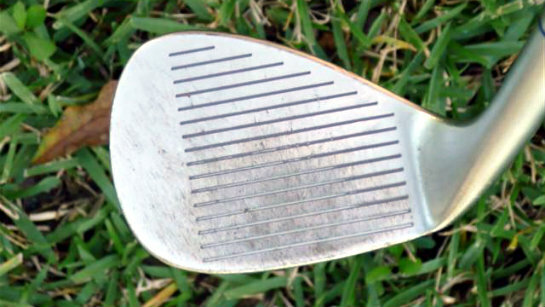 A sign you may need new golf irons - worn out golf grooves! If you decide to take the next step and consider a new golf iron purchase, remember that research and measurement is key. Whether you are a high or low handicapper, search the internet with those keywords, not focusing on the brand but on the type of player you are or have become. For example, type in "game improvement irons" if you need help in that area or golf irons for beginners ...and make sure you take those clubs into a booth along with assistance from a custom-fit professional. Finding local demo days is also a great idea as manufacturer reps bring a whole slew of clubs for you to try! Have you just purchased new irons or are you considering new clubs? Tell us your story in the comments section of our golf blog below and on Twitter @Golf4Beginners. Such a nice article for golf lovers and you have beautifully wrote about golf irons and given a great information and it will be very helpful for beginners of golf to choose right golf irons.